If you don't want to buy an Electric Car, you can choose to rent one! Currently there are only two Electric Vehicle brands available in Malaysia - the Mitsubishi iMiEV which sells for RM136,000 and the Nissan Leaf. In fact, the Leaf is not even available for purchase yet as Nissan is keep dragging on the launch date for Malaysia. The pricing issue must be the reason for the delay. 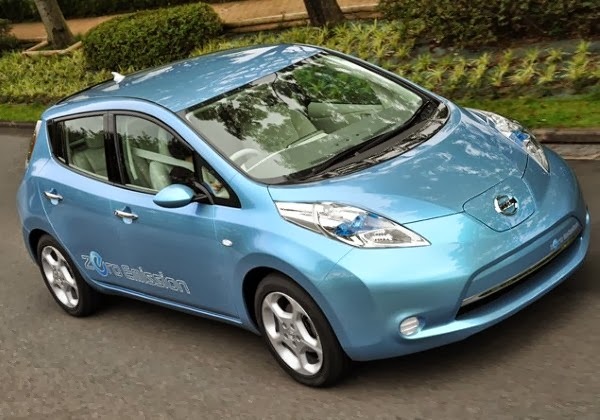 Anyway, Cars Bikes Trucks speculates that the Leaf could soon be launched at RM150,000 price tag. In Japan, there is this program by Toyota that enables you to rent rather than buy a vehicle. And more recently, Toyota have added a new concept electric vehicle to its Harmonious Mobility Network (Hamo) car sharing project, which lets users rent them by the minute. That reminds me of the RM3.00 for few minutes you pay for the kids to rent/ride the animal-shaped toy cars at the hyper malls. 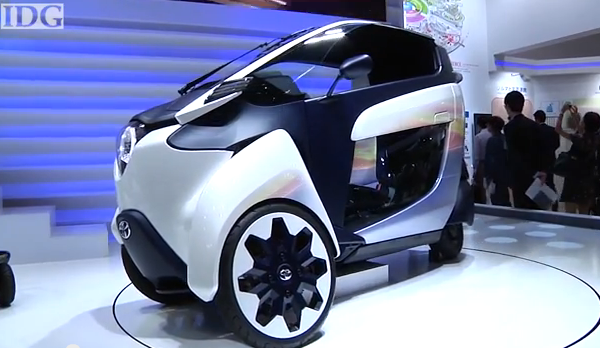 Image grab the i-Road from the video of the expo in Japan. Not really a 'car', more like a 3-wheeled bike. Watch it here. Users get to rent this car for 1,200 Yen an hour. The new concept vehicle weighs 300kg and can fit two passengers. It has dual 2kW motors that can propel the car at speeds up to 45 kilometers per hour for up to 50 kilometers on a single charge of its lithium-ion battery. Those intending to rent it can make reservation online through smartphones. Car availability can be viewed in real time, too. TheGreenMechanics: With price tag of electric vehicle so high and with many low to middle-income earners likely to give this a pass, it is a good idea to put up similar program in Malaysia. The big cities are the better places to start of with. Then we, the adult, can rent and ride these expensive 'toys' like the kids playing with the toy-cars at the shopping malls. Why not? Treat this as EV awareness program. Good idea. But problem would be that if the same EV is to import into Malaysia, most likely will cost double. Then the rental would be double too, like RM80/hr. I guess majority would probably try once just to fulfill the curiosity then eventually the heat would extinguish. I think electric motorcycle and bike actually would be the better options to start as awareness program as they are much cheaper. My 2-cent opinion. If we are to get more EV into Malaysia, concerted effort has to come not only from industry players but Government must play big role. A host of good incentives must be given to encourage usage just like the FiT mechanism for Renewable Energy.